Egyptians are people of Arab, Coptic or Muslim identity sampled in the nation of Egypt. 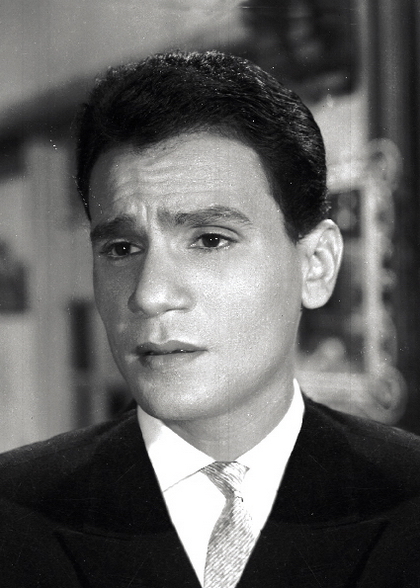 Abdel Halim Hafez(Arabic: عبد الحليم حافظ‎) was among the most popular Egyptian singers and performers. He was born in Ash Sharqiyah Governorate, 80 kilometres (50 miles) north of Cairo as Abdel Halim Ali Shabana. He died in 1977. 1) Egyptian Copts Adaima represents 100 Copts from Adaima village who were sampled in 2006 by the Anthropology Centre in Toulouse France and the University of Mansoura Egypt. Copts are the largest ethno-religious minority Egypt and make up the largest Christian community in the Middle East. 2) The Egyptian Arab – Cairo population data represent DNA samples from 140 unrelated Caucasian individuals living in Cairo, the capital of this North African nation that is officially named the Arab Republic of Egypt (Cairo – Egypt). Samples were obtained by the Dept. of Legal Medicine at the University of Graz, Austria, and by the Dept. of Forensic Medicine in the College of Medicine, at Sanaa University in Yemen. Some of the samples were provided by M. Abdull Fatah of Cairo, who in 1998 did previous genetic research on Egyptian and Yemeni populations. Research was supported by a grant from the Jubilee Fund of the Austrian National Bank. 3) Egyptian Muslims Adaima represents 99 Muslims from Adaima village who were sampled in 2006 by the Anthropology Centre in Toulouse France and the University of Mansoura Egypt. Muslims make up the ethno-religious majority in Egypt. Photo: Abdel Halim Hafez around 1955. Wikimedia Commons. Source Publications: Population Genetic Studies On The Tetrameric Short Tandem Repeat Loci D3S1358, VWA, FGA, D8S1179, D21S11, D18S51, D13S317, And D7S820 In Egypt, FSI, 1999, p23-31. Allele frequencies of 15 short tandem repeats (STRs) in three Egyptian populations of different ethnic groups, FSI, 2007, p260-265.